J.J. Abrams is taking the leaked photos from the set of "Star Wars: Episode VII" in stride by leaking an on-the-set pic of his own. 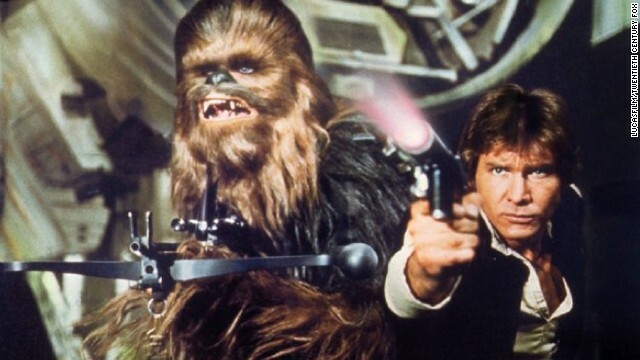 On Wednesday, the director tweeted a tongue-in-cheek response to speculation that the "Star Wars" Millennium Falcon is indeed in "Episode VII," talk that started with images posted on TMZ. “I wish people would stop leaking photos from 'Episode VII.' And making ridiculous claims that the Millennium Falcon is in the movie," Abrams says in the handwritten note he shared on Twitter. Over the past few days, a number of images from the secretive "Episode VII" set have cropped up online, showing, among other things, a replica of Han Solo's Millennium Falcon under construction. But Abrams has quietly given a hint of his own to "Star Wars" fans: the note he wrote is photographed on top of the hologram chessboard from the original "Star Wars," which was in the Falcon. And in other franchise news, yet another director has been found to lead a spinoff "Star Wars" movie. With "Godzilla" helmer Gareth Edwards already scheduled to lead one of the spinoff movies, "Chronicle" director Josh Trank has signed on to oversee the second. According to Entertainment Weekly, the current theory is that one spinoff will focus on Boba Fett, while the other is centered on a young Han Solo - but it's unknown which director would tackle either script.